By now you've probably heard plenty about the governor of Washington state declaring a state of emergency as the count of measles cases continues to climb. What you may not have heard is that as of January 31st, 2019, the CDC has announced that cases of measles have been confirmed in TEN states: California, Colorado, Connecticut, Georgia, Illinois, New Jersey, New York, Oregon, Texas, and Washington. The debate about vaccinations is almost as contentious as measles is contagious and vaccination rates have been creeping down. The scientific and medical community as a whole, virtually unanimously agrees that the benefits of routine vaccinations outweigh the risks and that the best way to prevent the spread of highly contagious diseases is for everyone to be vaccinated against them. 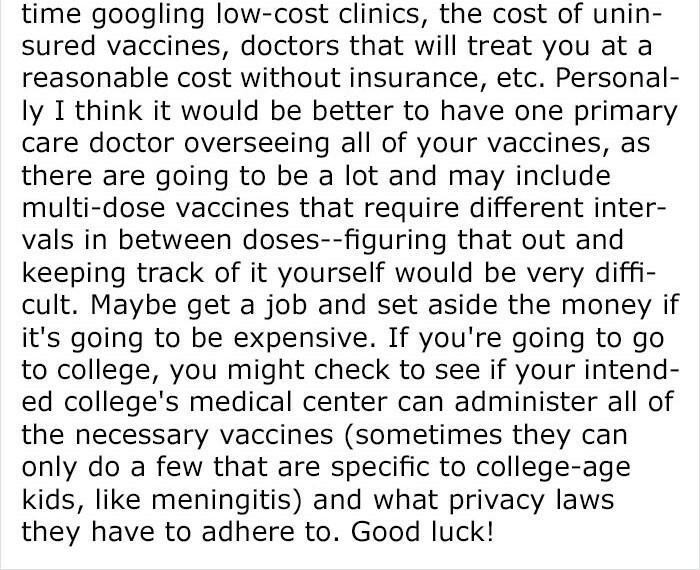 As the gap widens a surprising trend is popping up courtesy of Reddit... teenagers of anti-vaccine parents are coming out in droves to figure out how they can get themselves vaccinated as minors without their parental consent! If that doesn't tell you something about the disconnect, I don't know what will! Have a look for yourself. 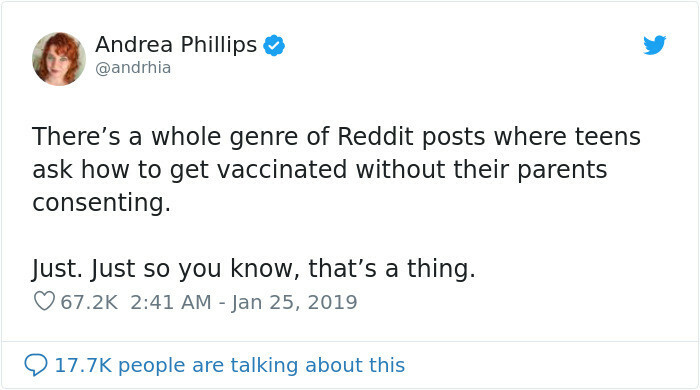 Andrea Phillips took to Twitter to raise awareness. She was quickly met with disbelief. Alas, we're not talking annual small fries like the flu shot. 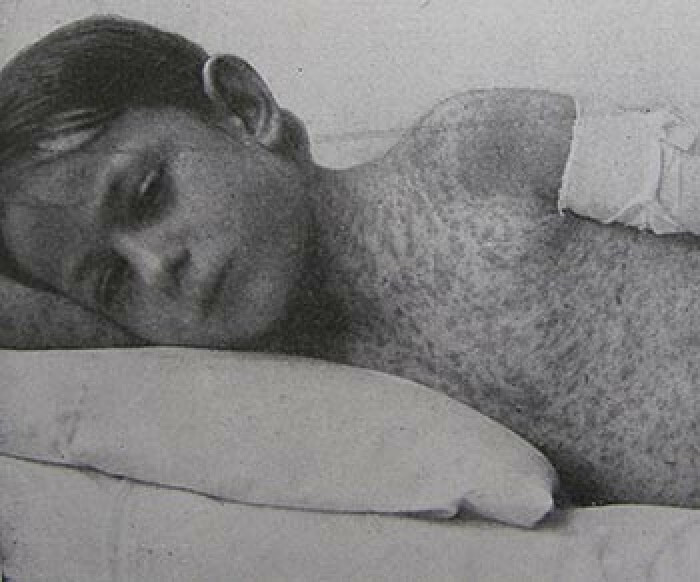 We're talking about contagious diseases like measles, once considered eradicated in the United States. 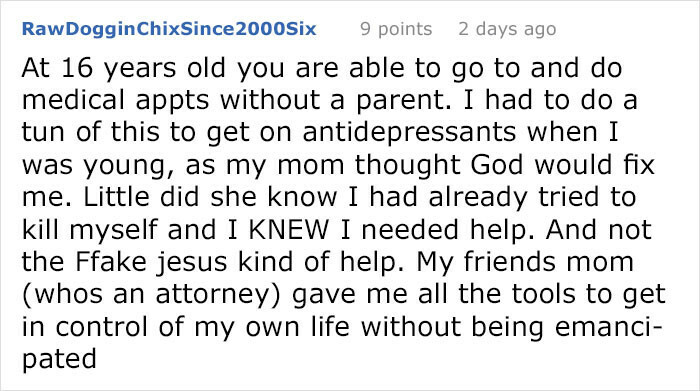 Most of the questions are popping up on the subreddit r/legaladvice, where teens can remain anonymous and get valuable advice from a lot of people, including lawyers and other experts in the field where the questions are being asked. 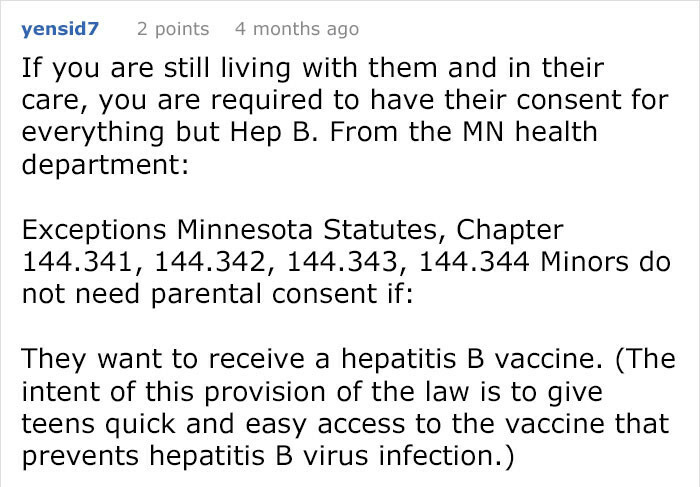 A quick browse through the popular subreddit and you would be astonished how many kids are asking about getting vaccinations without their parental consent. There's one thread that's really broken out like a case of the measles. 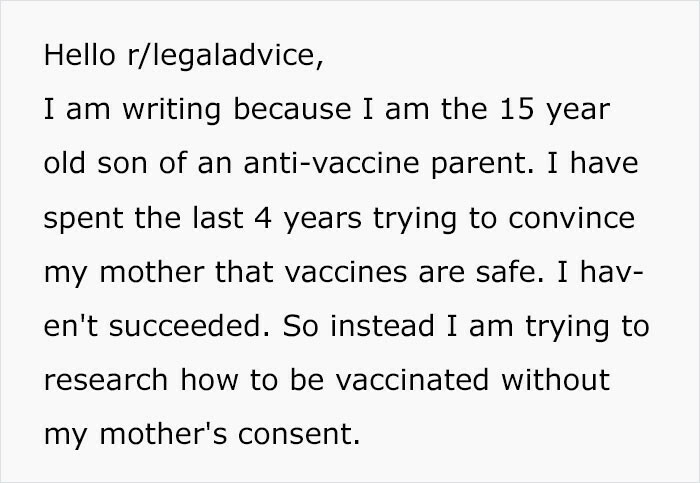 One 15-year-old Redditor posted to r/legaladvice looking for solutions to his problem, getting vaccinated despite his mother. I’ve tried to have conversations with my mom about vaccinations. My attempts were often conversations with me bringing a website or a scientific study to show her. Often it concluded with my mom saying that she would do some more research later. We both understand each other’s views and respect them, we are able to have good and open discussions. However, it honestly came down to just being persistent enough so that at the last doctor’s checkup I had several months ago, at the end of it I kept nagging my mom about it and asked the doctor to talk about vaccine risks and safety. We convinced my mom to let me get a tetanus and polio shot. Since then I haven’t had any other shots, and my younger siblings don’t have any vaccinations at all. 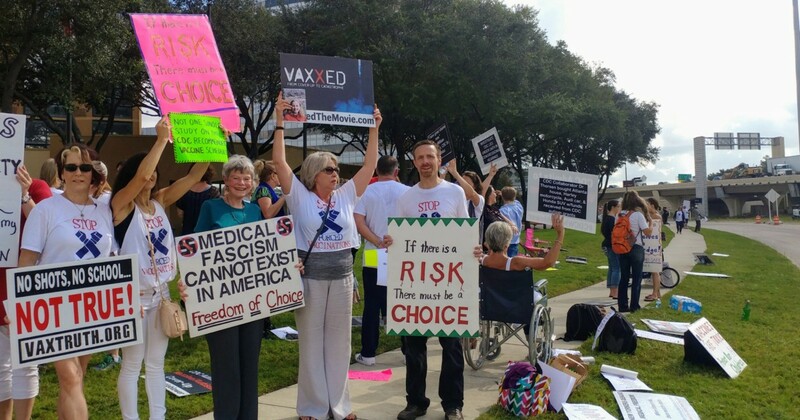 My mom has been anti-vaccine, and my dad does not have a strong opinion on this, as far as I know, he just supports my mom. 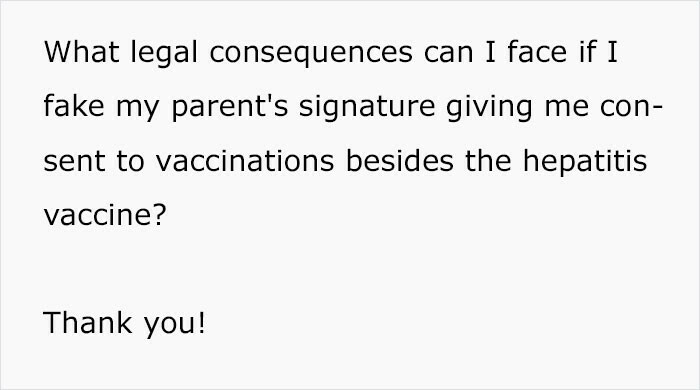 Both my parents have been vaccinated, however, not in this country. 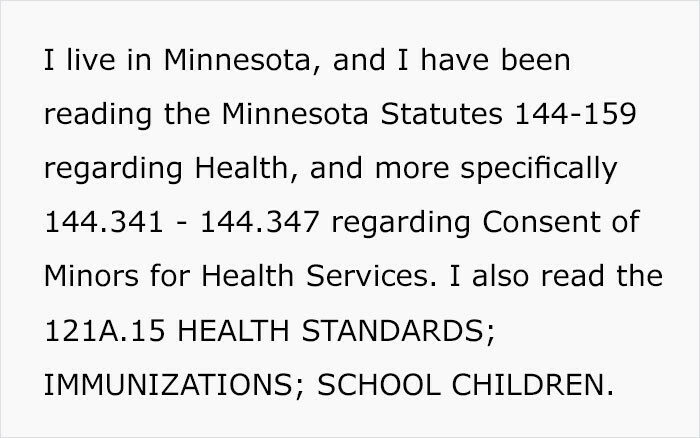 It’s highly likely that this experience is a major factor in the decision to not vaccinate. The toughest aspect to understand, and it’s incredibly important to acknowledge it, is that their decision is made with good intention and my best health and safety in mind. 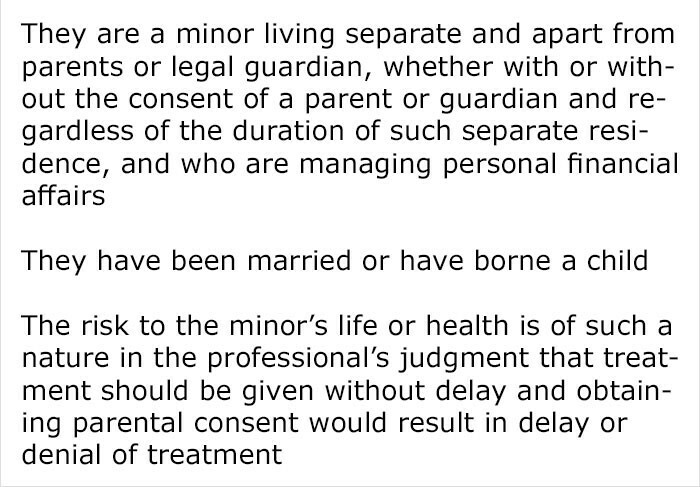 My mom and dad are not doing this with malicious intent, in fact, it’s quite the opposite, they want the best for me. However, that decision, in my opinion, was not properly researched/informed. The topic then transitions to the question, “Who is responsible?” Are my parents at fault for not thoroughly researching the topic? Or is it the sensationalist websites and media that post for clicks by publishing false and controversial claims? Is the educational infrastructure in the US at fault for not teaching students how to differentiate from false information and facts, for not thoroughly teaching how to conduct research and what sources to trust? Is it the homeopathic industry that is at fault? It makes billions of dollars with extreme profit margins, it has its own lobby organizations and fights its enemies as hard as it can. 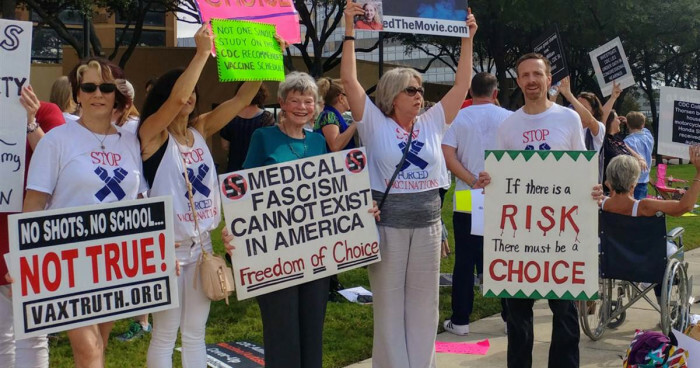 The belief in homeopathy correlates with skepticism about vaccinations, and in reality, a lot of money is on the line – globally the market is expected to reach over 17 billion by 2024. 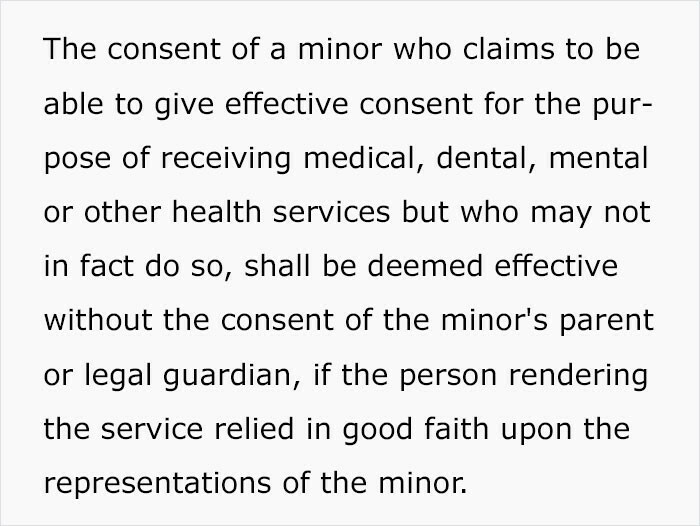 The best thing to do in this case is to put stricter enforcement on vaccination, possibly going even as far as making it mandatory unless exempted by a doctor for health-related reasons. 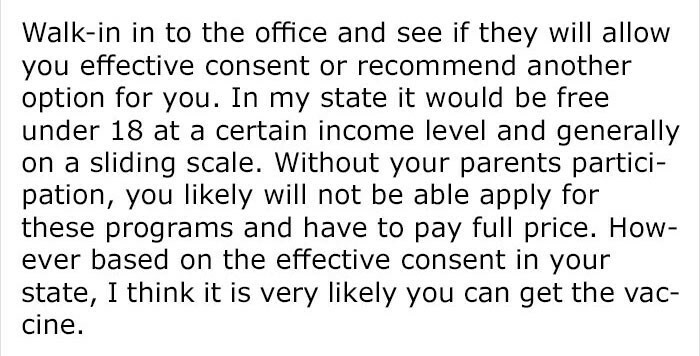 Loosening laws on the requirement for parental consent in these types of situations. His post received a lot of feedback. Like talking to the school nurse! It won't turn into anything positive, unfortunately. The teenager might have to wait until he's a legal adult! Not what he was hoping to hear, I'm sure. But most people agreed that forgery was not the way to go and he may be stuck in the position of remaining un-vaccinated for 3 more years. Still some more options rolled in. Like the county health department! Because even if they can't help you, this is a good place to know how to navigate for other health-related reasons! Could getting vaccinated at 18 cause friction in your home? Here's a back up plan! Consider travelling out of state? 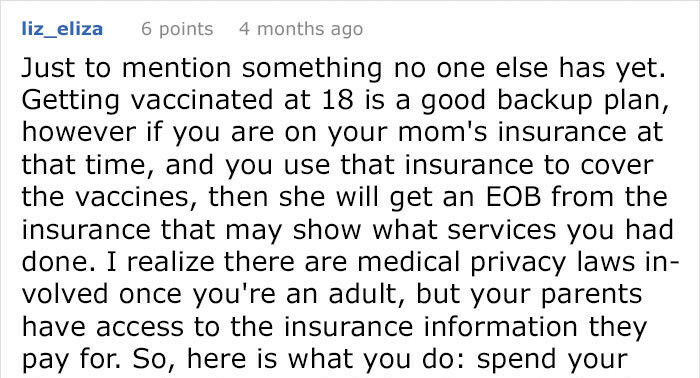 Another user chimed in with what happened when he turned 18 and got vaccinated. While another couldn't muster up a better response than a sarcastic one. Because what else could one really do? OP was not alone. Other young adults had been there, done that.